Each raffle ticket holder stand can be used for many events. The voucher stand display is very affordable when the quality metal construction and sleek design are taking into consideration. 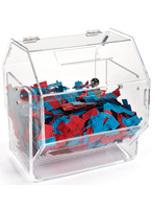 This raffle ticket holder, also known as a lottery dispenser, stands 8-3/4" tall. 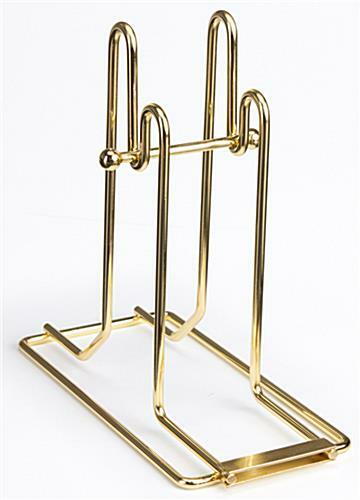 The brass plated voucher stand has an interior spindle that easily removes for quickly installing new rolls of vouchers. 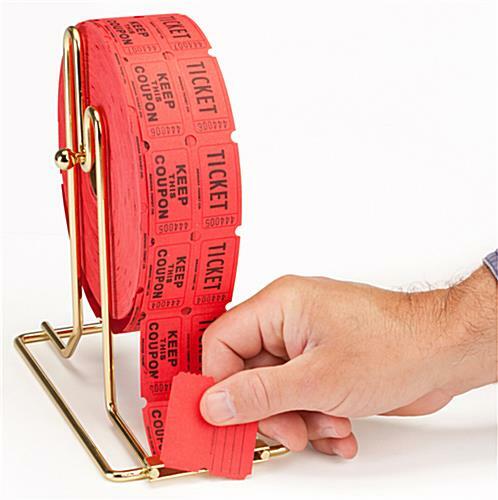 This raffle ticket holder that dispenses contest vouchers can be used in almost any area, as it takes up little room on a table. 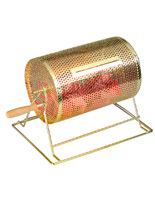 The lottery stand can be used to accommodate either single or double voucher rolls. 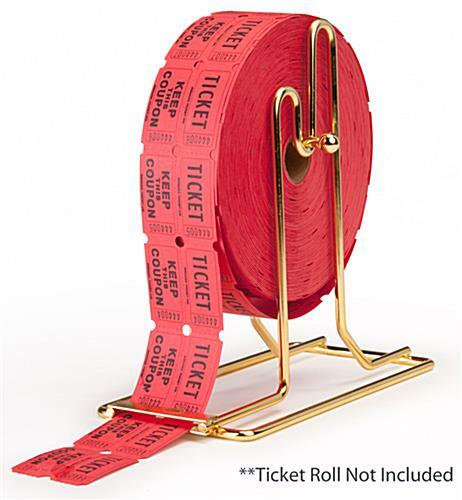 This raffle ticket holder, also called an event voucher dispenser, features a slot in the front to easily tear a stub from the roll. 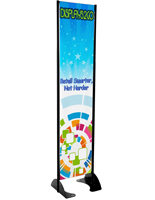 The event stand dispenser comes ready to use, with no assembly required. 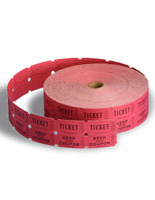 Each raffle ticket holder stand that sits on a table makes dispensing vouchers much faster than if one where simply holding a roll in their hand. 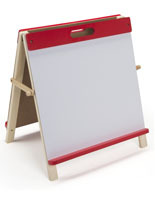 This voucher stand is especially ideal for weekly or seasonal sweepstake drawings. This raffle ticket holder is kept in stock and is ready to ship when ordered. A tabletop stand dispenser is great for large family get-togethers, high school sporting events or professional events. 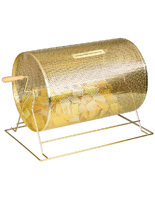 This raffle ticket holder that is made from brass is very durable and elegant. A light weight and compact design makes this lottery stand ideally suited for outdoor and indoor events. This raffle ticket holder has a cost effective design that will hold up for use at repeated events. 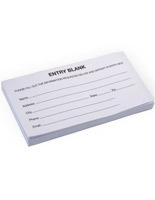 Be prepared for the next big event with this inexpensive and compact voucher stand. We do like the spindle for our tickets It slips out of the front piece it goes under pretty easy but it is still handy Would like to have been able to order one or two instead of three at one time.